initiatives in all sectors of the mining industry. Investment into digital technology improves mining production. African mining companies can leverage ContiPower's value chain of bespoke energy-generation solutions and products. The Motivation Group is reaping the rewards after having invested in Zimbabwe's huge potential four years ago. The firms focus is on product innovations that will ensure the protection of the mining sector's greatest resource - its workers. Pam du Plessis, CEO of Invincible Valves, says the time is right for the company to diversify into the broader African market. In an ever-changing landscape beset by regulatory challenges, companies need to be prepared and able to adapt in order to take advantage of the sector's potential, says Warren Beech, head of mining at Hogan Lovells South Africa. in the world, a number of challenges still remain, according to Dr Sophia Kisting, the executive director of the National Institute for Occupational Health. Richard Bay Minerals emphasises partnerships with employees and communities to create value and enhance productivity and growth, says its CEO, Mpho Mothoa. ​partnership business, says its Group CEO, Gerhard Hendriksz. ​Moto-Egil Africa, says its CEO, Gilberto Rodriques. ​have not only on economic development but communities too. 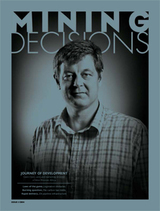 ​and status of the mining industry in South Africa, despite its current state of flux. 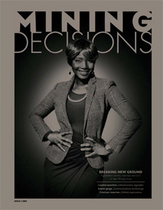 An enabling environment is crucial to increasing women's participation in mining, says Tiguidanke Camara, chairman and CEO of Tigui Mining Group. ​ideal host of platforms for mineral importers and exporters. ​says sales and marketing director Gavin Dyer. 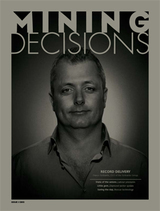 ​says Pieter Nel, CEO of MineRP. rehabilitation after operations end, says CEO Franco Scribante. ​transformation pioneers in South African mining. 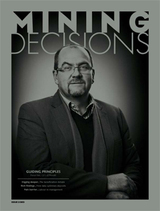 The South African Diamond and Precious Metals Regulator aims to keep trade above board. ​Kerry Dimmer speaks to CEO Levy Rapoo. Workplace ill health is a very public affair, especially where HIV/Aids and tuberculosis are concerened. 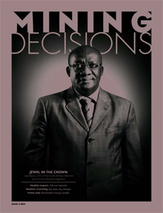 ​controversial topics in the mining industry - conflict minerals.